Over the last decade, SmartMouth has been making bad breath a thing of the past. Every oral care solution is packed with innovative science to stop bad breath at its source and prevent it from coming back so you can get closer to the ones you love. 1. Bottle Design: It may look quirky, but the patented SmartMouth dual chamber bottle is scientifically designed to harness the power of both bad breath fighting solutions, which combine to unleash the power of zinc ion activation every time you pour. 2. The Sulfur Eliminating Solution: The Sulfur Eliminating liquid destroys any existing bad breath in your mouth. 3. The Zinc Rich Solution: The Zinc Ion liquid activates when poured, releasing billions of zinc ions that bond to the germs in your mouth, stopping the return of bad breath for 12 hours with every rinse. Tear along the perforated seam. Peel off the foil and discard the green safety seal. Pop off the cap – it’s your mixing cup! Pour until you’ve filled to the line. Use immediately after pouring while the liquid is still green. Swish, gargle, then spit, and enjoy 12-hour fresh breath! As both solutions come together inside the mixing cup, a chemical reaction occurs that releases billions of bad breath eliminating zinc ions. These activated zinc ions are the key to 24-hour bad breath prevention and the reason why SmartMouth is the mouthwash for bad breath. The zinc ions stop bad breath at the source and prevent odors from returning by halting the production of sulfur gas by the germs in your mouth. When germs eat protein particles they produce sulfur gas. Sulfur gas is the real cause of bad breath! If the bacteria can’t eat protein? No new sulfur gas is created. No sulfur gas equals no bad breath and a more confident you. 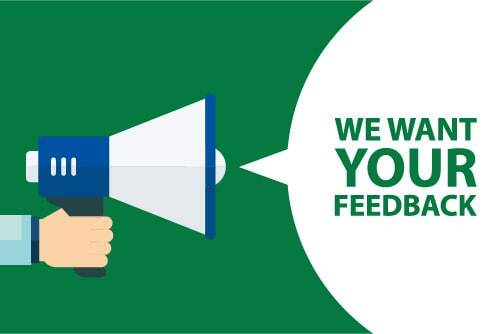 Discover more about how SmartMouth works! Every SmartMouth oral rinse eliminates sulfur gas and prevents bad breath from returning for 12 hours per rinse. 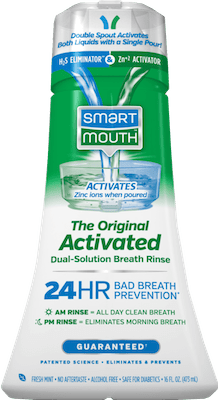 Each SmartMouth product, whether mouthwash, mints, or toothpaste, utilizes the power of zinc to promote a healthy mouth free from bad breath. SmartMouth’s Premium Toothpaste with zinc ion technology produces a different kind of clean that lasts.